One cannot visit Paris and not check out the wonderful Notre Dame Cathedral. It certainly did not disappoint. 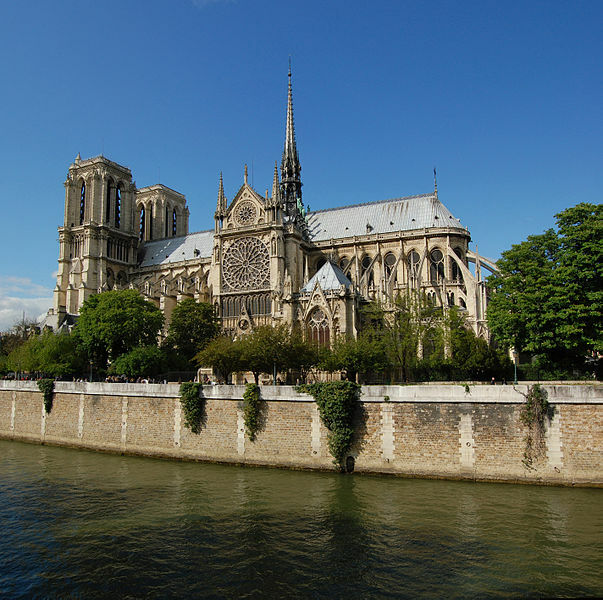 Notre Dame is located in the 4th arrondissement of Paris and is easily accessable via the public transportation system. My hotel was over closer to the Eiffel Tower almost right next to the Ecole Militaire. Notre Dame was just a short ride on the metro from my area. Both the metro and the RER trains have stops very close to the cathedral so there should be no problem getting there even for the most helpless of tourists. 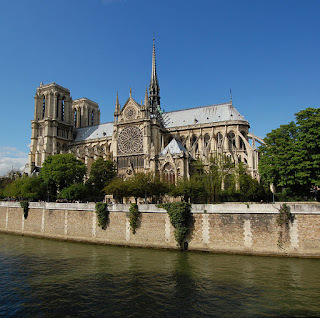 Notre Dame Cathedral is actually on an island in the middle of the River Seine . It is considered one of the finest examples of French gothic architecture in all of Europe and was one of the very first buildings ever to use the famous flying buttresses in its Construction began in 1163 under the reign of Louis VII. It is simply breathtaking. Entrance to the cathedral is free and I must admit a bit intimidating if it is your first time. It is dark, quiet and definitely ancient. Tours are available. Pictures are allowed inside as long as no mass is in progress. Be respectful. You can also make the climb to the towers if you are up for it. The entrance is located outside the Cathedral on the left side of the façade. There is no elevator so you must climb the 387 steps to the top. There is also a crypt underneath Notre Dame. The archaeological Crypt was built to protect the ruins discovered during the excavations that began in 1965. The crypt was opened in 1980 with the aim of presenting elements from the successive buildings constructed on the site from Ancient times to the 19th century. A visit to Notre Dame is an absolute must when you go to Paris. It is easy to get there and you can complete the visit in under a couple of hours leaving you plenty of time to see the other Paris sites that aren’t far away. I did it first thing in the morning and was heading to my next destination by 10am.